I'm quite tempted by this watch. Partitio looks superb in blue. Also, am I buying the watch from Stowa, an EU company for which the familiar sales obligations apply (for EU citizens), or from W&W? Orders will be accepted at 25 units per month. Current ship date will be updated and shown on this page. 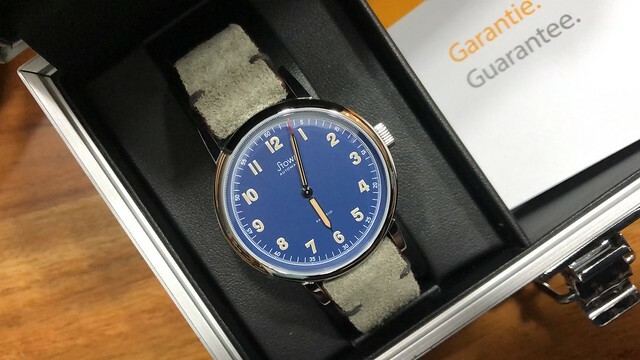 Watches will ship directly from Stowa Germany. EU customers will be contacted after order to collect VAT. Depending on your shipping destination you may be subject to import taxes. FedEx or DHL will be used to ship all watches. 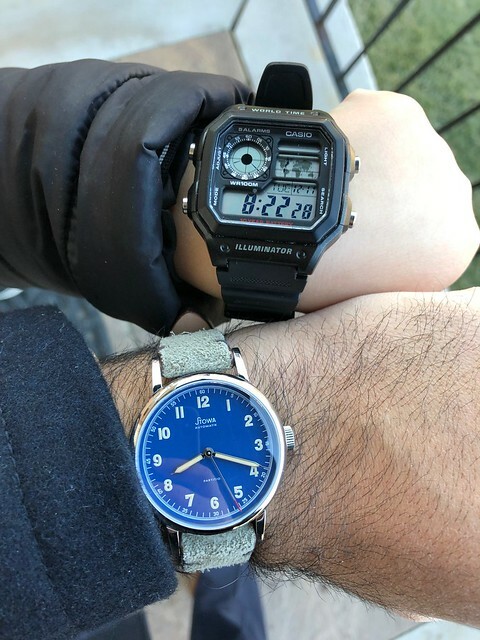 I think you are buying the watch from W&W and it is supplied by Stowa. I say this because I expected to have to pay duties or customs before Fed Ex would release the package to me but they just handed it over after a signature. If you are thinking about it I would not wait too long, on their Instagram (W&W) post they stated that there were only a few left. FWIW I think it would look just fine with a suit even in a somewhat conservative environment. stuffler,mike, indeed that is the only information on the sales page and as you point out, I think, in contains no relevant information on the particularities of the sale, only that it is shipped by Stowa. I sent an email to W&W a couple of weeks ago but alas I have not received an answer. flaccidaardvark, thanks for the information. It's USD 500 is the limit for duty free in the US, right? I am surprised you did not pay duties. Hmmh, you order from W&W, you pay $759.00 incl. 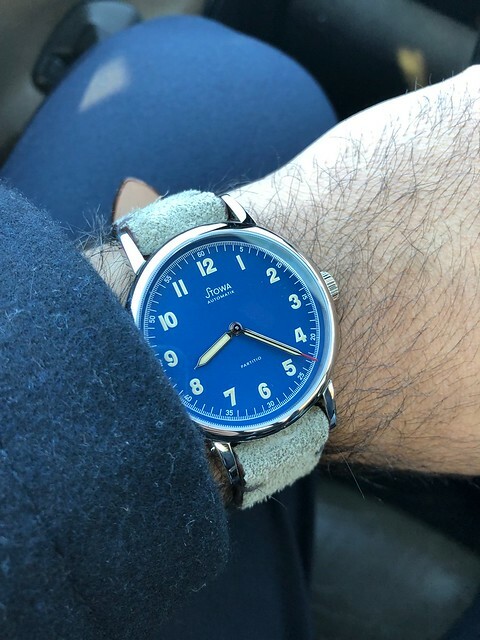 free shipping in the US to W&W, Stowa will then ship. I don‘t miss any info. But this is just me. Imho $756 already comprises duties. EU customers will have to pay +19% VAT to Stowa which equals about €800. Last edited by stuffler,mike; December 11th, 2018 at 17:53. I received mine yesterday and I couldn't be happier!!! Sorry for the iPhone pics but I haven't had a chance to take some legit pics with my camera. I was smilling ear to ear when I saw it. I think it works with a suit pretty damn well. What do you guys/gals think? If I was going to be super picky (which I'm not) my only complaint would be the packaging. Besides the caseback markings there isn't any other documentation showing it to be the W&W LE. I picked up a Dan Henry WindUp SE and even that one had a small certificate which showed the number and some details about it which was a really cool touch. But honestly this is just me looking to find something to complain about. I love what the guys at WW do and I'm happy to support them especially when it's with a product as killer as this watch is. 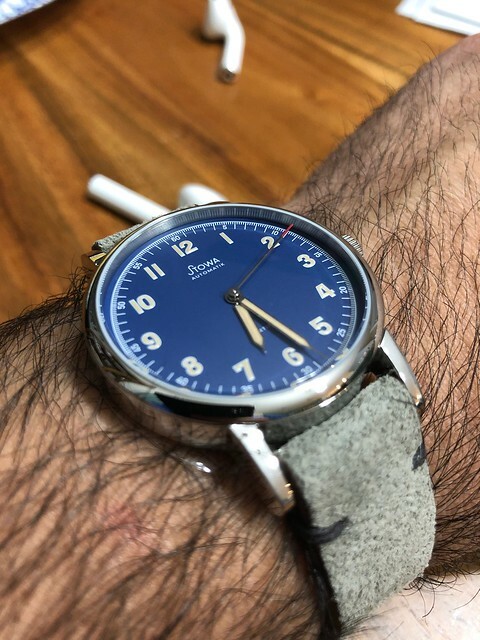 Now I need to find the Autodromo & 1st Stowa collab to complete my trio. Last edited by dboulders; December 11th, 2018 at 19:07.
stuffler,mike, Fikk, flaccidaardvark and 4 others like this. It is just not obvious what the implications of the extra foreign dealer is. Does the EU cool-off period apply? 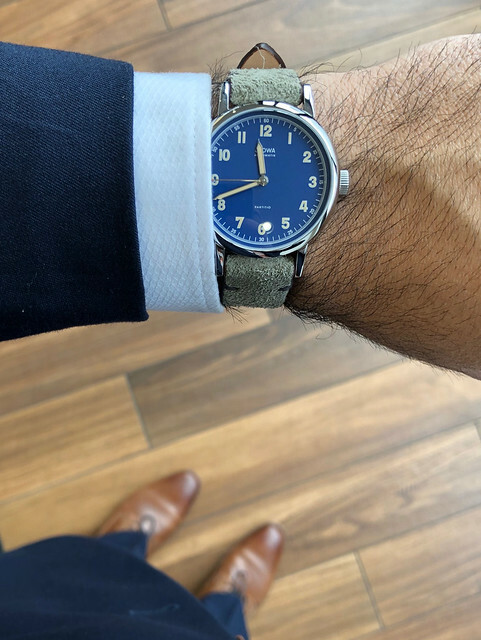 Do I enjoy the full EU warranty as if buying directly from Stowa (in addition to the warranty of Stowa itself)?